Loading up the game for the first few hours it was a game that took a little while to get used to, but this was mainly down to playing it bit by bit rather than sitting down and force feeding the game down my throat, as sometimes doing that to a game that lacks a ton of content can hinder it more than allow you to write about in a good light. With the story portion of the game having just 30 odd levels of play to go through, I made sure I sat down and enjoyed it rather than flying through it as fast as I can. 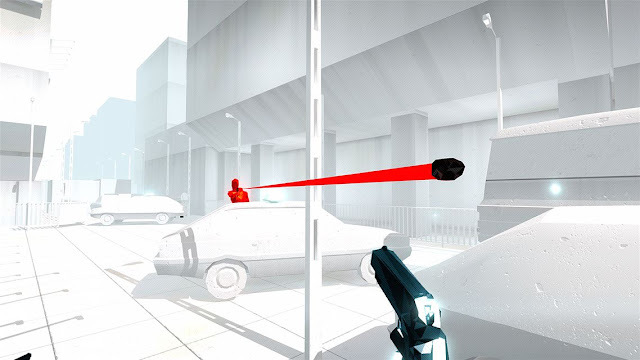 Superhot is classed as an FPS, but with it also having what feels like a small puzzle element to it. The whole selling point of Superhot is the gameplay which sees movement from other things in the world only happening when you move. This means each level is essentially you trying to clear it of all red enemies as you try your best too avoid gunfire from all angles.These enemies can either be taken down with a few punches, or if they are packing heat a punch to them or item thrown will make their weapon fly through the air as you catch it full Arnie style to then take them out. As you play through the game you also also unlock a hotswitch power later in the game, giving you the ability to jump out of your body into another. 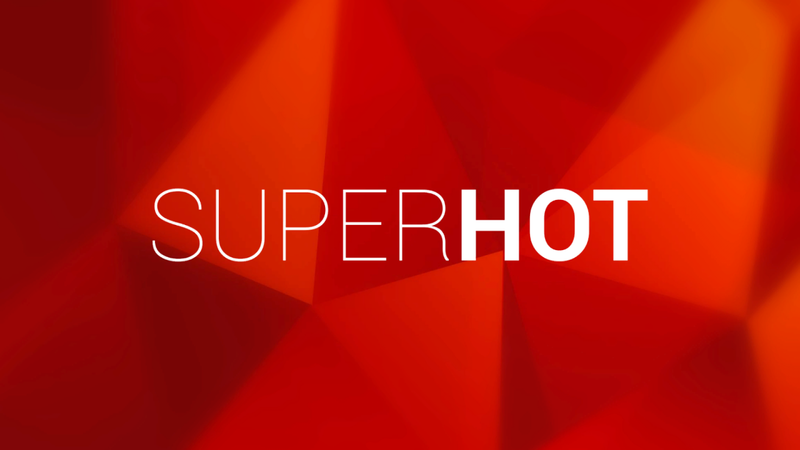 Superhot is a very unique experience and while it can try and be explained by people like me, it can never really come close to experiencing it for yourself. The downside to this however is that for some Superhot might just be too unique for its own good. Sure the indie guys who lap up stuff like this for breakfast will already be fully aware what Superhot is all about, and will have picked this up already. The guys who haven't heard much about the game however will take a look at the buying screen for the game and see one major stopping block in their way, that being the price. Coming in at a whopping £19.99, Superhot is what I class as an Indie game that thinks it's something more, all thanks to word of mouth on the Internet and social media. Let's just take a moment and see what £19.99 could actually buy me from many other places right now (Thanks for the info Postabargain). I could go out now and buy The Witcher 3 for just £16.00, or Fallout 4 pre-owned for just £12.99. I also could go out and buy Rise of the Tomb Raider or Metal Gear Solid V: The Phantom Pain all for under the price I'm Expected to pay for Superhot. You know, the game that was made in just seven days and then saw a Kickstarter campaign funding it. All these triple AAA games not only offer great value for money at full price, but even more at the price they are now. Just take Witcher for instance, that thing never ends. This is not me saying that the Superhot is a bad game, not not at all. My point being more about these silly prices for such games , which while being fun to begin with are pretty much put to one side once the short campaign is over? With the single player done in less that two hours I was left with just endless mode and challenges to keep me coming back, but in truth that will just never happen, and this is the letdown to what is Superhot. 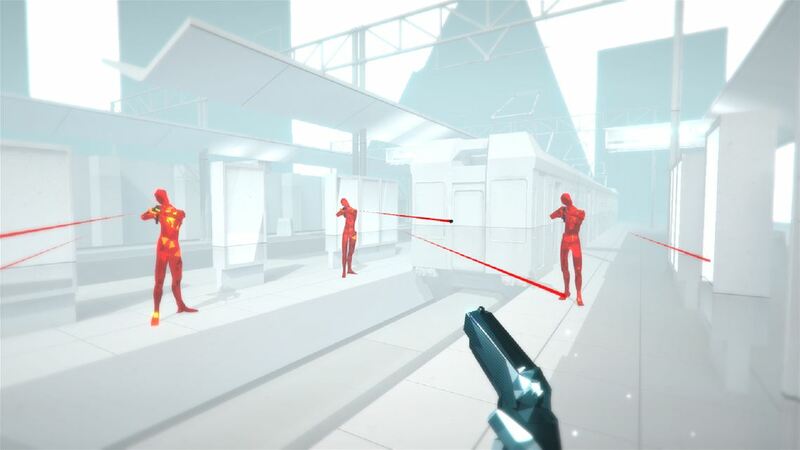 Overall: Superhot you are indeed one of the most unique games that I've had the pleasure of playing with in a long time now, but the truth is you cost way too much for what you are. You campaign is great fun while it lasts. Once I was done with that though I had no real need or desire to want to make a return. - Nothing to return for once finished, unless you want to replay stuff you've already played with a few tweaks. Totally get that, as I'm sure loads think like that too. I'm on the side that has to see some return from a game though. So paying anything above £/$15.00 has to see the game giving me some sort of value for money in return.